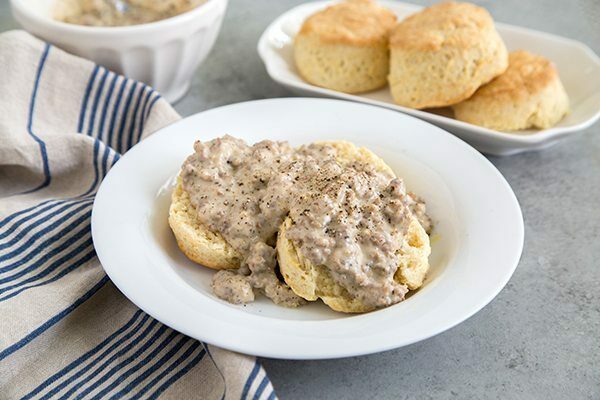 This Easy Biscuits and Gravy Recipe is a staple dish on any breakfast menu. It’s as easy to make as it is delicious. 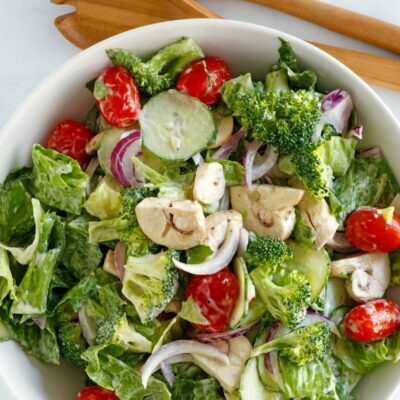 You eat heathy all week, making sure to squeeze in as many vegetables into your diet. You exercise and stay hydrated. And then on the weekend, you splurge with a decadent plate of biscuits and gravy. Biscuits and gravy is the ultimate breakfast comfort food. 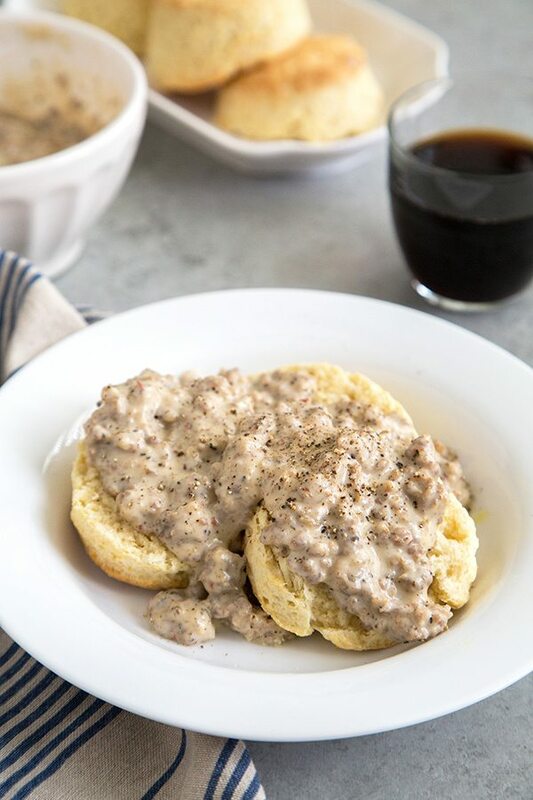 With one bite of this buttermilk biscuit and sausage gravy, you’ll be transported to childhood days of lesiure, wonder, and carefree eating. Does that only happen to me? I sure hope not! While canned biscuits are totally fine, I’m a big fan of making biscuits from scratch when I have more time on the weekend. 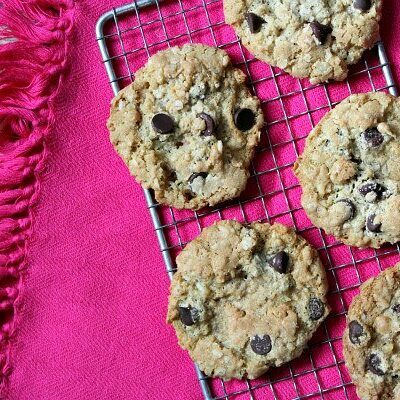 This recipe makes a small batch of biscuits, but you can easily double or triple the recipe if you’d like to have more. 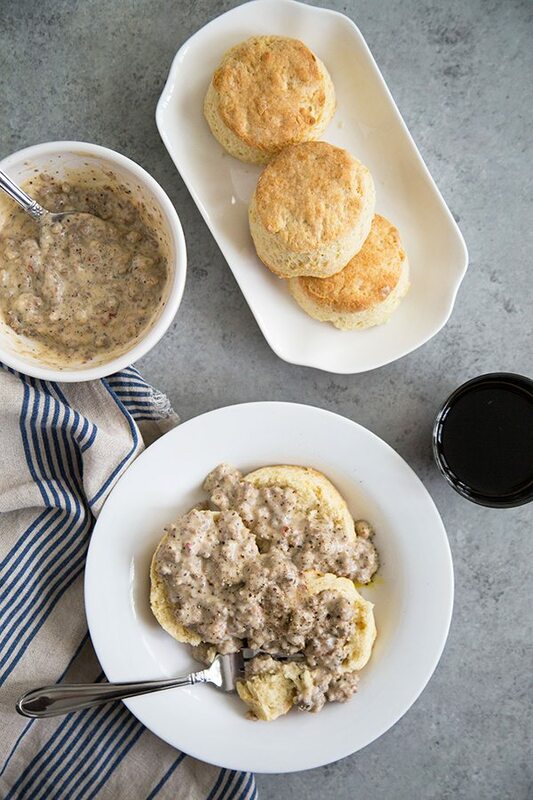 Best of all, the biscuits go well beyond sausage gravy. Eat them buttered or with your favorite jam. 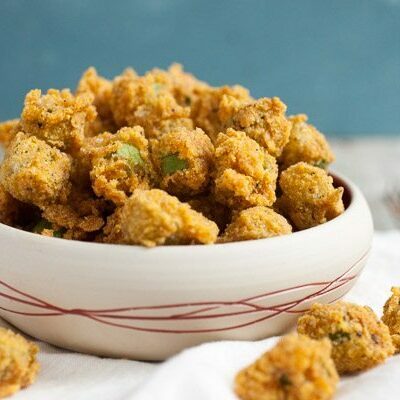 Perhaps drizzle a little honey on top and eat them with fried chicken! While biscuits and gravy may not be the prettiest dish, don’t let its looks fool you. 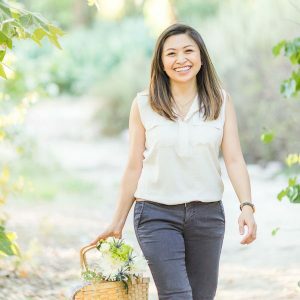 It’s a simple and delicious meal that feels like a warm hug on a sunny day. In a large bowl, whisk together the flour, baking powder, baking soda, and salt. Cut in the chilled butter using a pastry blender (or two forks or your fingers) until the flour mixture resembles crumbly, course sand. Cut in the shortening. Pour in the cold buttermilk. Use a sturdy rubber spatula to fold the mixture together until a dough forms. The dough will look sticky. Turn the dough out onto a lightly floured work surface. Lightly dust your hands with flour. Knead the dough together until almost smooth. Pat the dough until 1-inch in thickness. 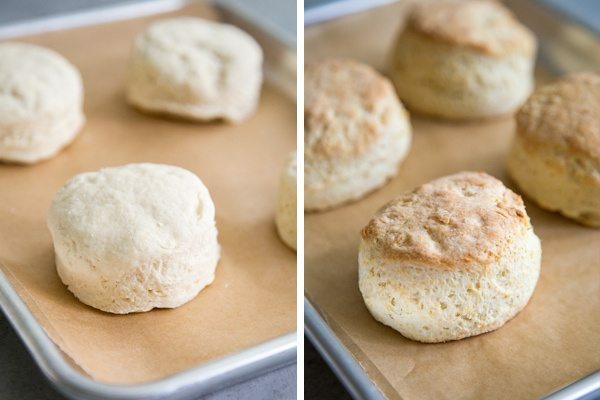 Use a 3-inch round cutter to punch biscuits. Gather any remaining dough and knead together to cut more biscuits. You will end up with 4 biscuits. Bake for 15 to 18 minutes until the biscuits are golden brown on top. 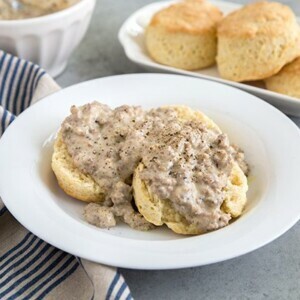 While the biscuits are baking, prepare the sausage gravy. Place a large skillet over medium-high heat. Add the sausage meat. Using a spatula, break the sausage into small pieces. Cook for about 5 minutes until the sausage has browned and there are no longer any bits of pink. Reduce the heat to medium. Add the flour and stir to combine. Keep stirring until the meat has absorbed the flour and there are no longer any dry streaks of flour. Slowly add the milk. Bring the mixture to a simmer to thicken the gravy. Cook for about 5 minutes. 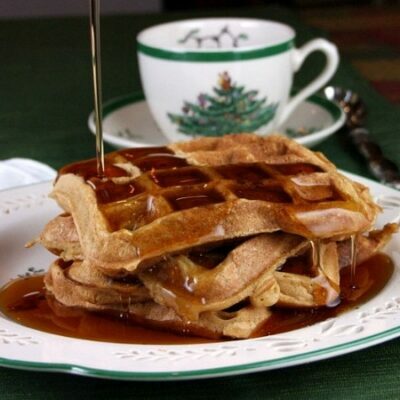 If the gravy is too thick, add the milk 1 tablespoon at a time until desired consistency is achieved. Taste the gravy and season with salt and pepper, as needed. Slice warm biscuits in half and place in a serving plate. Ladle hot sausage gravy over biscuits. Bulk breakfast sausage usually is packaged in small plastic tubes. Bulk sausage refers to sausage without any casing. It often comes in "spicy/hot" or "mild/regular" flavors. Biscuits and gravy is the perfect comfort food! Yum!